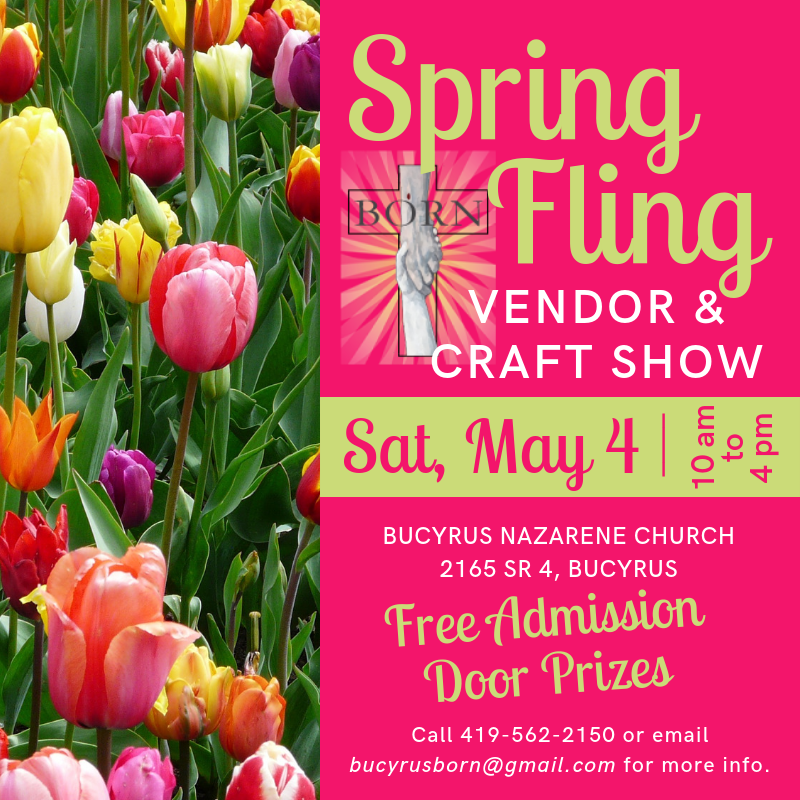 BORN is hosting their annual Spring Fling Vendor & Craft Show on Saturday, May 4 from 10 am to 4pm. Free admission, door prizes. Help BORN provide a hand up, not a handout. Call 419-562-2150 or email bucyrusborn@gmail.com for more info.